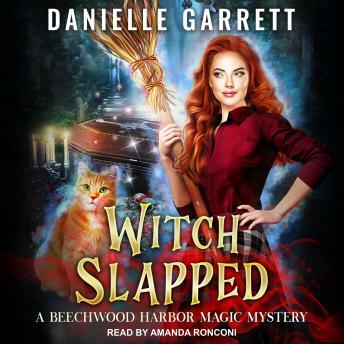 Listen to "Witch Slapped" on your iOS and Android device. Holly's got a big problem . . .
And this time, there's no dead body involved. Her boyfriend's parents are coming into town for the Yule Feast and they're staying at the Beechwood Manor-for an entire week! With a paranormal meet-the-parents on the horizon, the last thing she needs is to stumble into yet another murder investigation, but when she becomes a key witness, there's no way of avoiding it. Especially not if vampires are involved and her human partner-in-sleuthing is racing right into their path. The only comment is concerning the narration of Harvey. I just did not like the sound of the narrator's voice when voicing Harvey but everything else was very good.